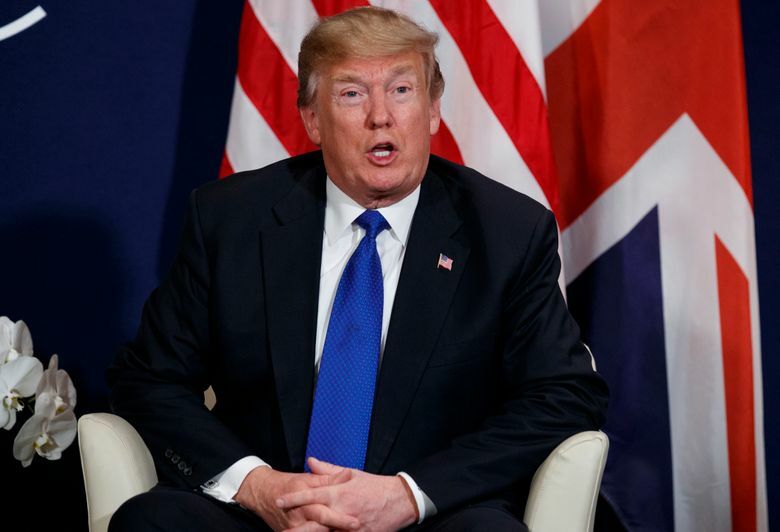 NEW YORK (AP) — Fearing betrayal on a signature campaign issue, President Donald Trump’s loyalists are lashing out against his proposal to create a path to citizenship for nearly 2 million “Dreamer” immigrants. Trump-aligned candidates from Nevada and Virginia rejected the notion outright. A loyal media ally, Breitbart News, attacked him as “Amnesty Don.” And outside groups that cheered the hardline rhetoric that dominated Trump’s campaign warned of fierce backlash against the president’s party in November’s midterm elections. The public scolding is aimed at a president who has changed course under pressure before. It presents Trump with a significant test on an issue that dominated his outsider candidacy and inspired working-class voters who propelled his rise. Now, barely a year into his presidency, Trump can bend either to the will of his fiery base or to the pressure to govern and compromise. His leadership may determine the fate of hundreds of thousands of young immigrants and whether his party can improve its standing among surging numbers of Hispanic voters. The passionate response underscores the Republican Party’s dilemma on immigration under Trump. Much of the country, including independents and moderate Republicans, favor protections for thousands of young people brought to the country as children illegally and raised here through no fault of their own. But a vocal conservative faction emboldened by Trump’s anti-immigrant rhetoric will never accept anything viewed as “amnesty.” And many view legal protection for these young immigrants as just that. Trump’s proposal includes billions for border security and significant changes to legal immigration long sought by hard-liners. Several Democrats and immigration activists rejected it outright. But his supporters’ focus on “amnesty” for Dreamers highlights how dug in the base is and how little room Trump has to maneuver. The president told journalists this week he favors a pathway to citizenship for those immigrants, embracing a notion he once specifically rejected. Legal protection for roughly 700,000 immigrants enrolled in the Deferred Action for Childhood Arrivals program, or DACA, has emerged as a driving priority for Democrats, who forced a government shutdown over this issue last week. The businessman president appears to have set out to cut a deal. “It is concerning why anyone would attempt to repeat history by granting amnesty,” said Mississippi state Sen. Chris McDaniel, who is mulling a primary challenge against Republican Sen. Roger Wicker. McDaniel likened the Trump proposal to the “amnesty” granted in 1986 immigration overhaul backed by President Ronald Reagan. In Virginia, Stewart agreed with McDaniel that “any amnesty, including an extension of DACA,” would lead draw millions of new immigrants into the country illegally. “I’m not happy about it,” he said. Brian Kemp, a leading Republican candidate for Georgia governor, said Republicans must use their Washington monopoly to end DACA, which he characterized as an “open the borders” philosophy. In Nevada, where Trump loyalty is the centerpiece of Republican Danny Tarkanian’s primary challenge against Sen. Dean Heller, Tarkanian also broke from the president. The consequences could be severe for the GOP as it struggles to energize voters heading into the 2018 midterm elections, when Republican majorities in the House and Senate are at stake. Recent Democratic victories in Alabama and Virginia suggest that the GOP has cause for concern, especially as Trump’s job approval hovers in the mid-30s. Protections for more immigration of these young immigrants could trigger wholesale revolt by Trump’s base in November, said Bob Dane, executive director of the conservative Federation for American Immigration Reform. “There’s widespread fear that if Trump capitulates to the Democrats and fails to deliver on his campaign promises on immigration, there’s not going to be any more campaign promises for the GOP to make in the future, because the base will inflict a scorched-earth policy in midterms,” Dane said. Some allies hoped Trump comments and the proposal were an early step in negotiations that could change. Trump has zigzagged on the issue before. With Congress pushing Trump to clearly state his position, the White House plans to formally unveil a legislative framework next week. But Trump on Wednesday left little wiggle room in his support for citizenship. “It’s going to happen, at some point in the future, over a period of 10 to 12 years,” he said. Associated Press writers Thomas Beaumont in Des Moines, Iowa, and Bill Barrow in Atlanta contributed to this report.